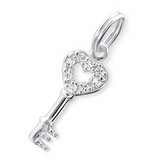 Enchanting sterling silver necklaces with Key to my Heart charms. Inspired by the 19th-century keys to secret gardens, the Daughter wears the key and Mum wears the lock. So she carries the key to your heart. Sweet, symbolic and very personal! With a pink crystal for added elegance. ♥ The necklaces and charms are made of real .925 Sterling Silver. ♥ Available in three lengths for girls (36, 40 or 45cm), so they can wear the necklace high in the neck or a bit lower. Whatever the occasion. Mum's silver necklace comes in 40 or 45cm. The key charm measures 2.1 cm including the eyelet. 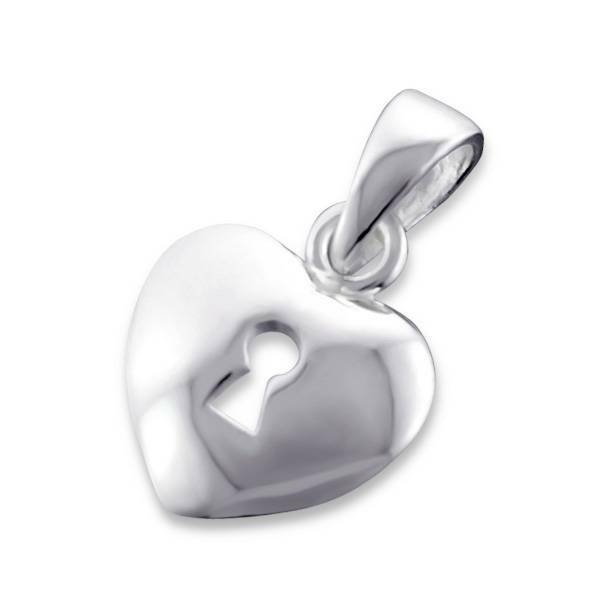 The heart shaped lock charm (for Mum) measures 1.2 cm. ♥ Order an extra necklace for more daughters, or maybe for Gran or Auntie? Chat with us (bottom right) or email us if you have specific or additional requests. Otherwise, the extra necklace will come with the key charm. 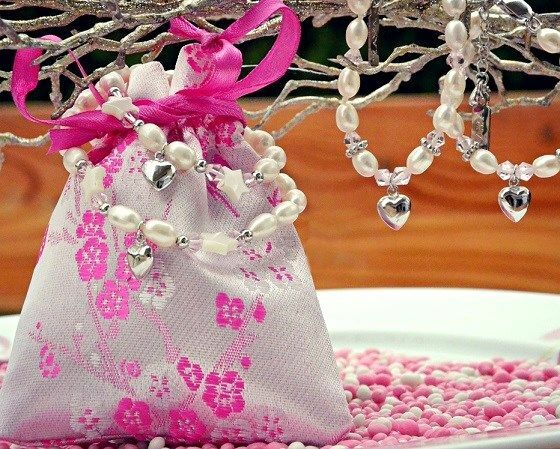 ♥ You receive these 2 necklaces nicely gift wrapped & ready to give. 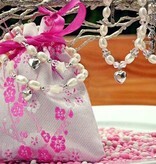 KAYA's necklaces are beautifully wrapped in 2 pink jewellery pouches, along with two silver polishing cloths.